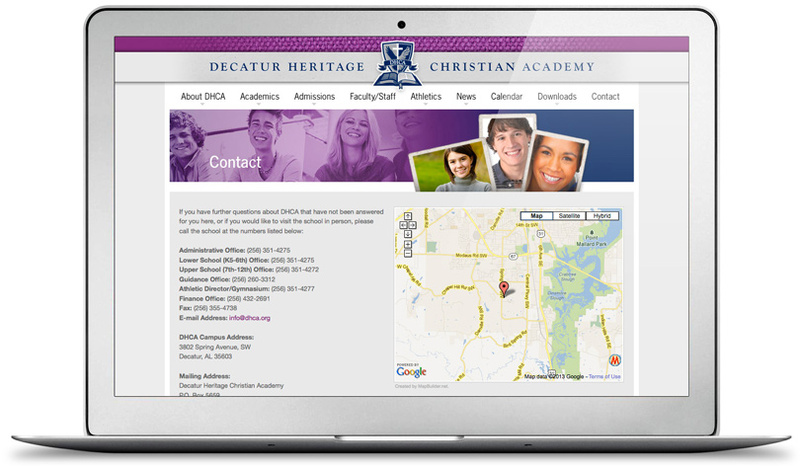 Decatur Heritage Christian Academy… How do you sell a K-12 private, tuition-based school when public education is available in a down economy…and the fact that a new campus was nearing completion and an influx of new students was needed for the larger facility? 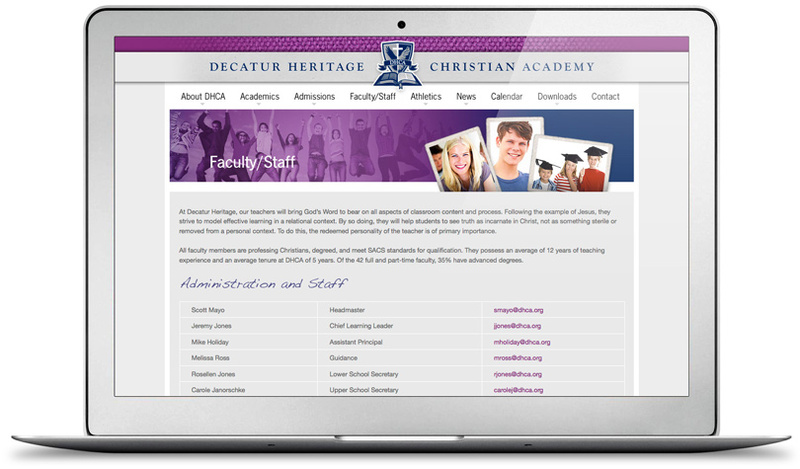 That was the situation for Decatur Heritage Christian Academy in Decatur, Alabama. Our approach was to focus on the kids, the quality of the education and the excitement of an all-new campus. The 2013 graduating class was the largest one to-date and those students were awarded $1.8 million in scholarships. DHCA needed to educate potential new students and their parents in North Alabama about the positive changes happening because of a new campus. Our strategic marketing program included both the development of the materials and the planning and implementation of the media buy. 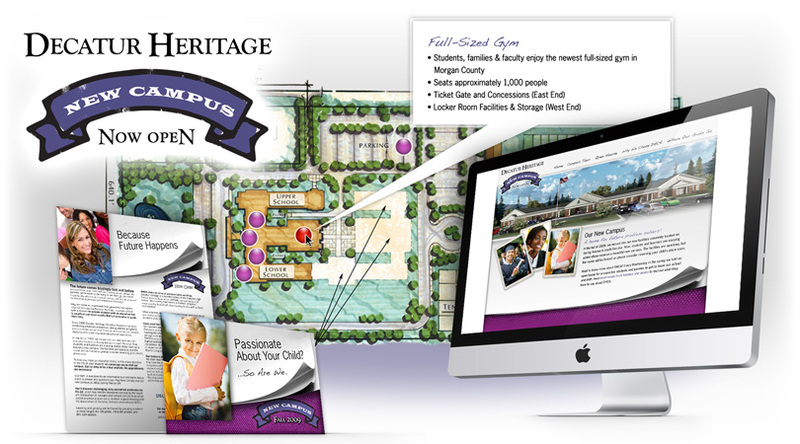 Elements included a series of digital billboards featuring students, direct mail pieces targeted to parents, and leave behind brochures used by the board of directors visiting with prospective families and donors. All of the pieces drove the audience to a mini-web site built specifically for reaching out to prospective families and promoting the fund-raising capital campaign underway to support the new facility.. 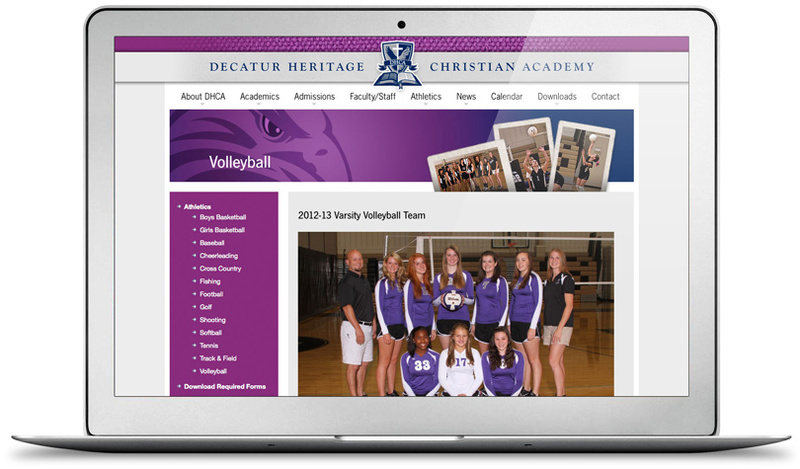 When DHCA wanted a new web site to communicate with current and prospective parents and to reflect their new and growing campus, they turned to the McComm Group to fill the bill. This content managed site was designed to allow the school officials to make instant and easy updates from any computer with Internet access. The user friendly site includes a much-used school calendar, parent section, athletic booster section, and newsletter sign up. 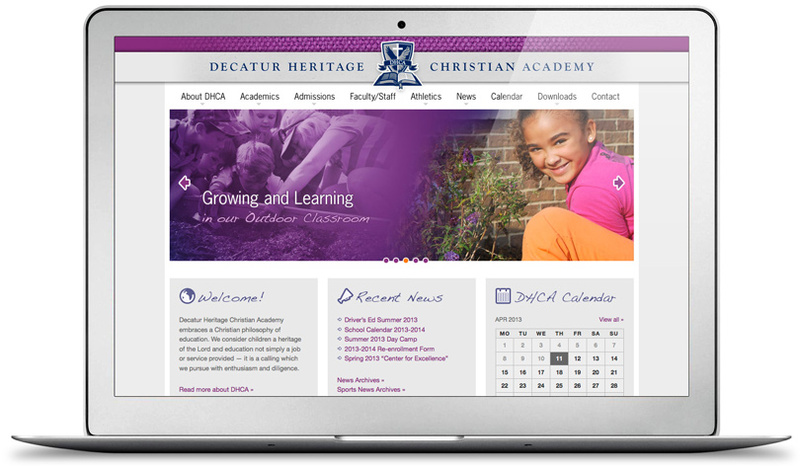 We are proud to roll out our new school website – same web address www.dhca.org, but a whole new look and increased functionality! Many thanks to McWhorter Communications for the design work! 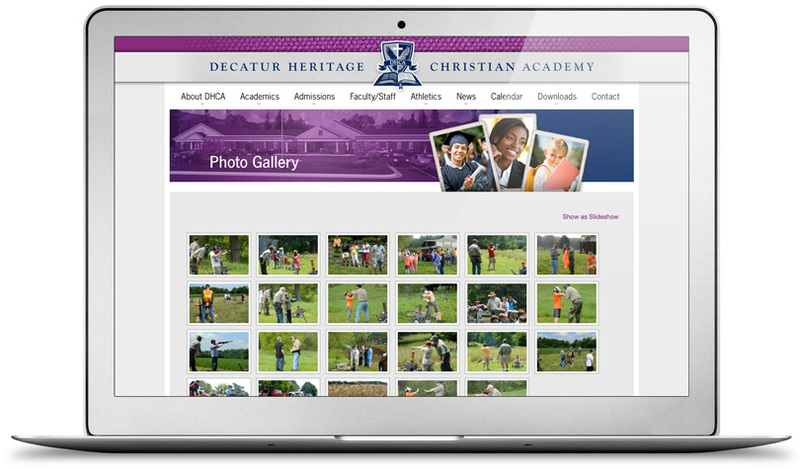 With this new site, we hope you will notice increasing efforts on our part to keep you in the loop with all the pertinent, timely information you will need to make the most of your Decatur Heritage experience.